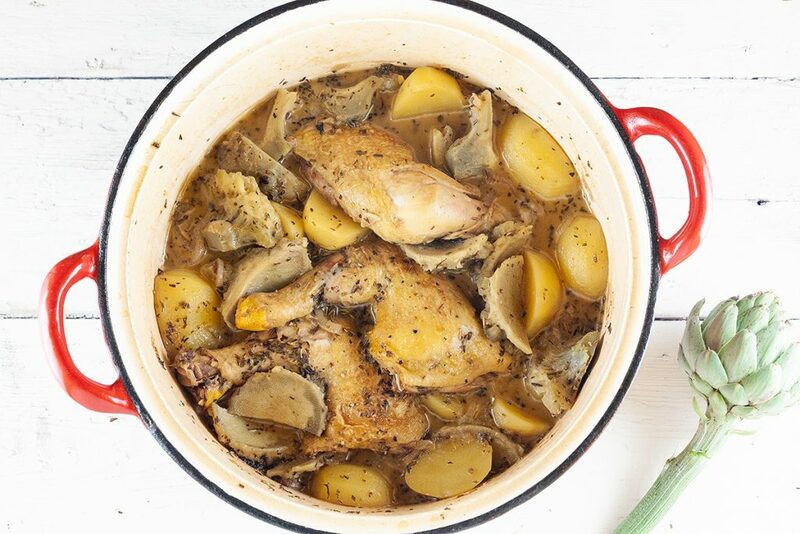 This oven-roasted artichoke, chicken and potatoes can be prepared in less than an hour. 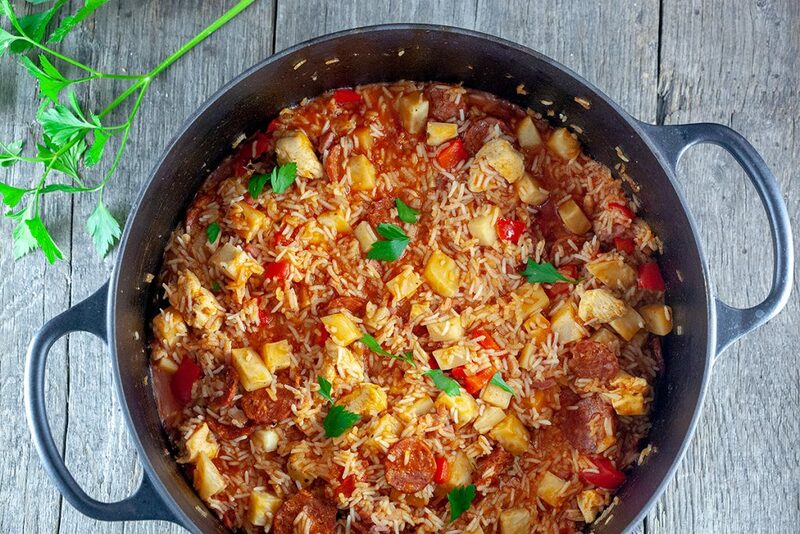 An easy one-pot summer dish perfect for any weekday. 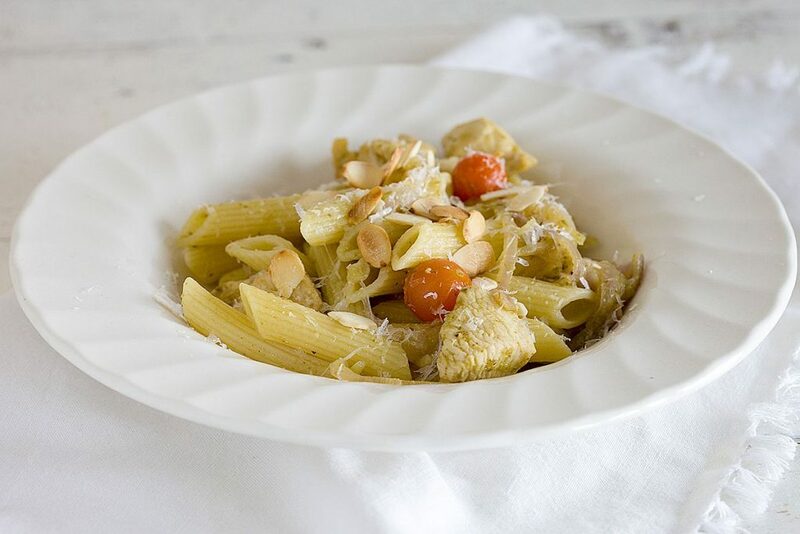 This one pot chicken and pesto pasta with almonds is ready within half an hour. No cream added for a ‘healthier’ version of a pasta pesto. 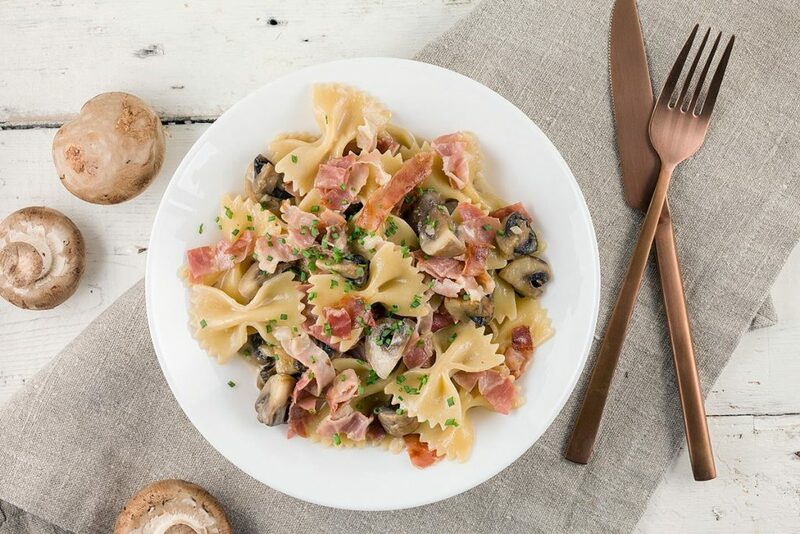 This one-pot creamy ham and mushroom farfalle is easy to create, filled with flavors and ready within half an hour.